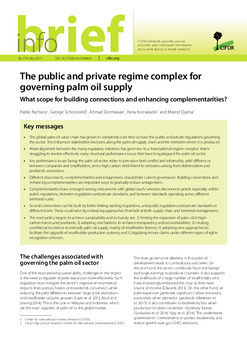 Gender issues are relegated to the periphery in current debates and approaches concerning the sustainable governance of oil palm in Indonesia. 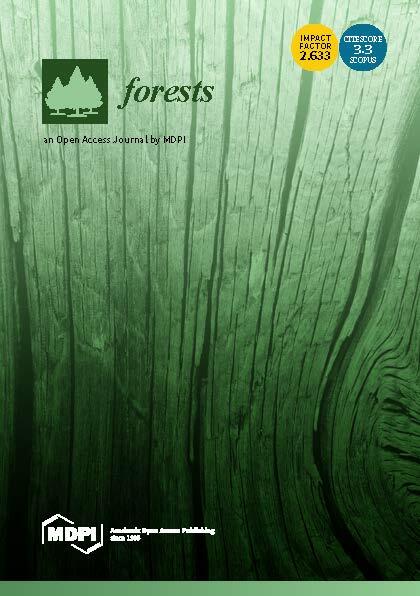 However, ongoing research by the Center for International Forestry Research (CIFOR) points to the critical roles that women play as workers, smallholders and members of affected local communities. Gender inequities follow as oil palm expansion displaces local women from land on which they cultivate food crops. Women workers contributions to large and smallholder oil palm production are either less visible, rendering them as shadow workers, or women are overrepresented in the casual worker category, with limited entitlement to decent working conditions. Womens ability to exercise their voice and agency are restricted by structures and norms that route decision-making processes through male community leaders and household heads. 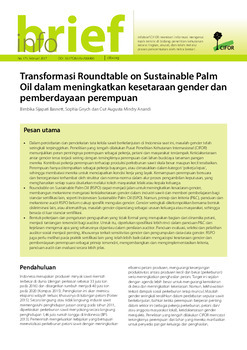 The Roundtable on Sustainable Palm Oil (RSPO) could serve as a powerful conduit for raising awareness about gender issues, developing mechanisms for addressing gender inequities in oil palm and offering lessons for other certification standards such as Indonesian Sustainable Palm Oil (ISPO). 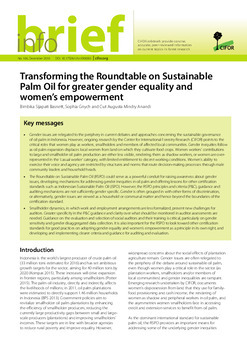 However, the RSPO principles and criteria (P&C), guidance and auditing mechanisms are not sufficiently gender specific. Gender is often grouped in with other forms of discrimination, or alternatively, gender issues are viewed as a household or communal matter and hence beyond the boundaries of the certification standard. Smallholder dynamics, in which work and employment arrangements are less formalized, present new challenges for auditors. Greater specificity in the P&C guidance and clarity over what should be monitored in auditor assessments are needed. Guidance on the evaluation and selection of social auditors and their training is critical, particularly on gender sensitivity and gender disaggregated data collection. It is also important for the RSPO to look toward other certification standards for good practices on adopting gender equality and womens empowerment as a principle in its own right, and developing and implementing clearer criteria and guidance for auditing and evaluation.